Welcome to the JEEPERS! 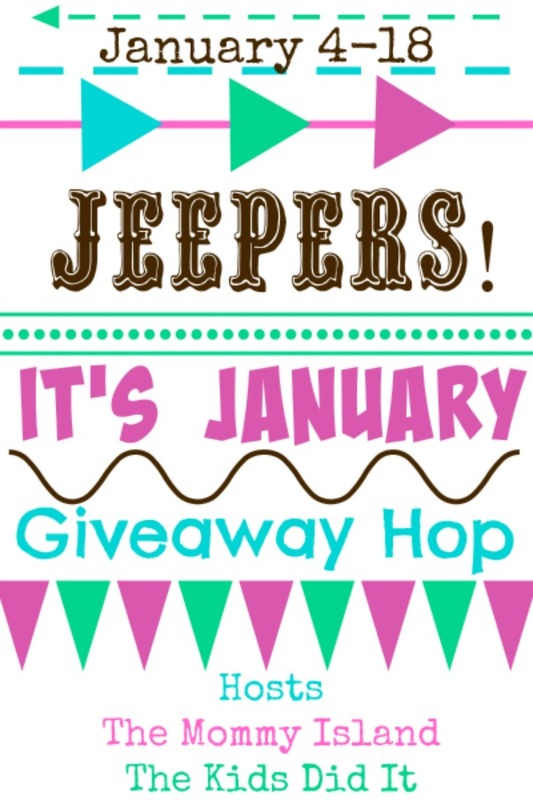 It's January Giveaway Hop hosted by The Mommy Island & The Kids Did It! Can you believe it's January already?! I love new beginnings and to celebrate we're giving away a $10 Amazon eGift Card or PayPal Cash! To enter fill out the Rafflecopter below, but don't forget to hop along with linky at the bottom for your chance to win more great prizes! Happy New Year! Thank you for the wonderful giveaway! Have a Happy New Year! Thanks for this fabulous giveaway! Thank you so much for the giveaway! Hope you have a great January! Thanks for the giveaway! Happy New Year. Happy New Year! Many winning returns of the day! I hope everyone is having a great year so far! I love shopping at Amazon!! I would love to win to put toward a birthday gift for my daughter. I really love these hops. So much fun to see all the different blogs. Thanks for participating. Thanks for the great giveaway. Happy New Year! Thank you for the opportunity. Happy New Year to you too. I'm absolutely crazy abour Amazon, so I'm keeping my fingers crossed for this one. Thank you. Happy 2016 to you and your loved ones! Thanks for the giveaway. One of my "waiting not patiently" books came out today. Six days until the next one! Thank you for the giveaway. Happy New Year! thanks for the chance to win! I always need to buy something on Amazon, so this would come in handy! I love this giveaway hop! Thanks for the chance to win a great prize. i love to order books through amazon! Happy New Year! I'm so glad I found your blog on the hop! Thanks for having a great giveaway. Happy New Year. Thanks for the fun giveaway during this so cold January! We are getting a cold front tonight.....will be around zero until next weekend now! Brrrr! Happy New Year and thanks for the giveaway! So awesome!! Thank you!! I would put this towards the purchase of a kindle paperwhite!! I'll put it toward an Amazon Fire. I love shopping at amazon. I find so many things I can't get locally and the prices are great. If I win I would love to get books! Thank you for the giveaway! 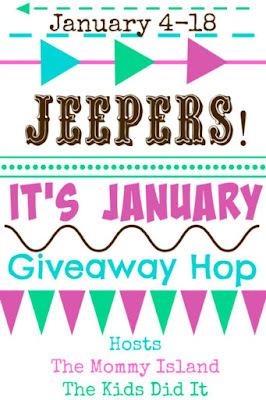 I love entering blog hop giveaways! I love Amazon! Thanks for a great giveaway! This would be great - Amazon has just about everything and anything! Thanks for the chance! I just read a book review and I would love to buy the book on Amazon. Thanks for the giveaway and happy new year! Looking forward to using this towards a book so thanks for the chance! I love starting the new year fresh! This would help me get new knobs for my kitchen! Thank you so much for the giveaway! I have a few books in mind, and this would go a long way in helping them find their way to my bookshelf! Happy New Year and thanks for participating in the hop! I can not believe its January already. This year is going to be when I pay off all my bills. thanks for the giveaway!! Thanks so much for the chance! Have a great 2016! I hope you are having a good year 2016 so far! Thanks for being a part of the hop! I would like to thank you for the excellent giveaway and for giving us all a chance. thank you for the chances. I have just discovered the joy of shopping on Amazon- so thank you for the chance!! This would be great to add to my total for a kitchenaid mixer. I am saving up for one. Thanks for the chance. Happy 2016!